Tom and I love throwing parties. 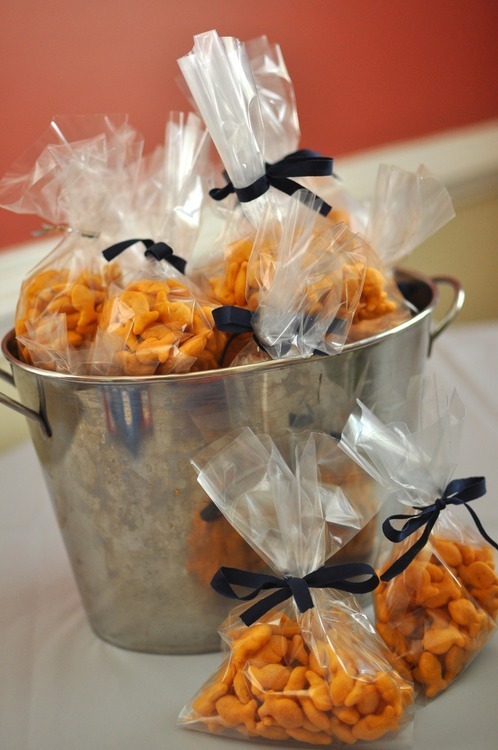 We’ve thrown birthday parties, Christmas parties and 10K parties. When I’m planning a party I usually don’t worry too much about dishware and decorations and instead focus on having a lot of food and making sure everyone feels welcome. It’s not that I don’t appreciate a well-set table and beautiful ambience, it’s just that I’ve learned that I can’t do both. If I try to, I’ll be so worked up by the time guests arrive that I can’t have fun. If there’s a table cloth on my table or a signature cocktail, then I’m probably stressed, because when guests arrive things get moved around or we realize there aren’t enough plates so we have to use one that doesn’t match and if that happens then maybe we should just cancel the party because EVERYTHING IS RUINED! For David’s party I made an exception. I wanted to go big but I also wanted to enjoy the celebration. So last week I didn’t do laundry, workout, make dinner, shower, or even watch daytime television — all because I was busy making sailboats, blowing up balloons and running to Target. With lots of help from Pinterest, my husband, and my parents, everything was done, with time left over to take photos. I’ll share more about the actual party in a later post. For now, this is all about the decor. Early in the week I made this banner and hung it in our living room to get us in the party spirit. It took me three nap times. I pinned this as my inspiration. Through the window you can see some of the balloon garland we hung on the front porch on the day of the party. 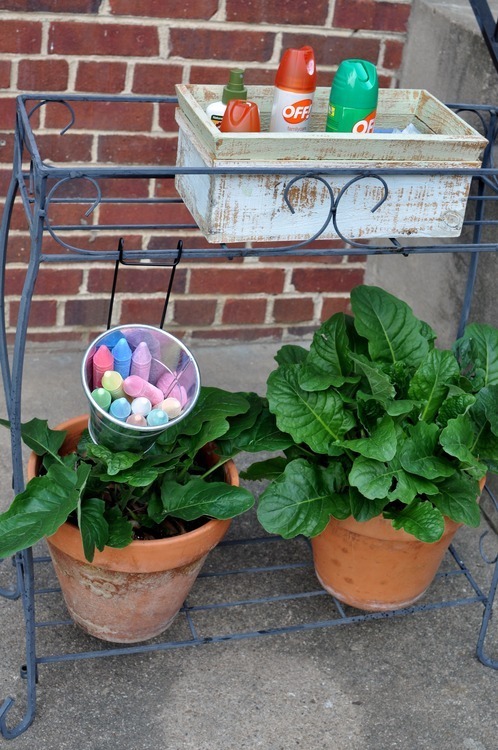 We used more balloon garland to dress up our clothesline. 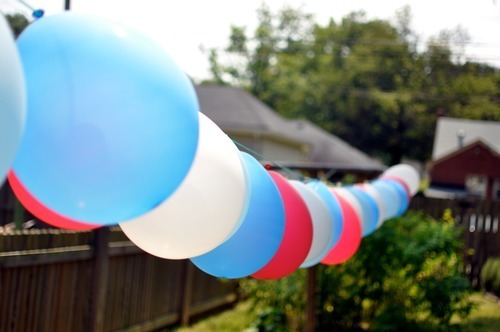 Sherry Petersik made similar balloon garland for Clara’s birthday. And to make the backyard as comfortable as possible, I set up what I called a “hospitality station”. 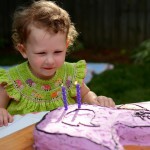 It mostly consisted of lots of bug spray and sidewalk chalk for the kids. The party had a nautical theme. David isn’t really into sailboats, but I thought they would be cute, and do we need another reason? 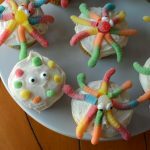 Thanks to Pinterest, I had lots of nautical-themed food to choose from. 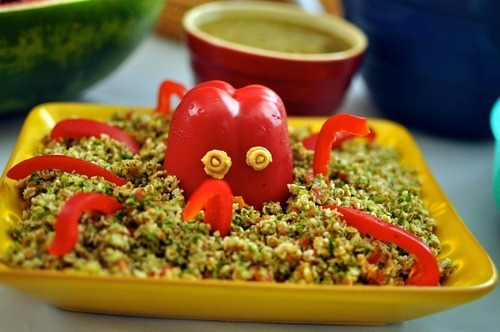 Taboulli – made with tomatoes and parsley from our garden – with a red pepper octopus. 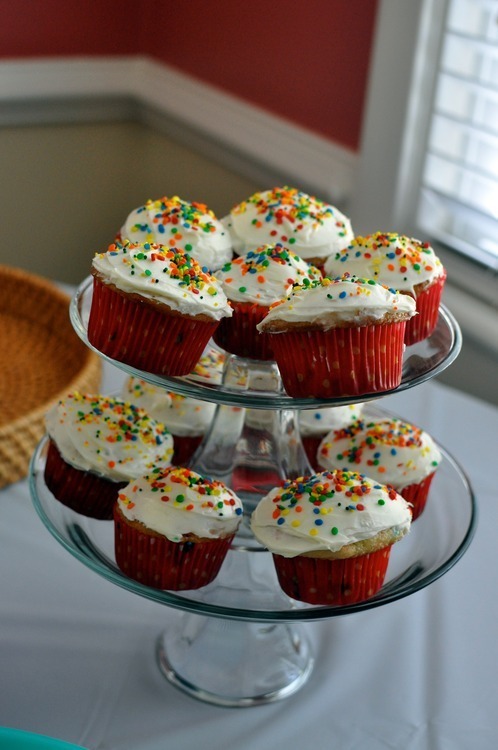 And funfetti cupcakes, because they’re Tom’s favorite. 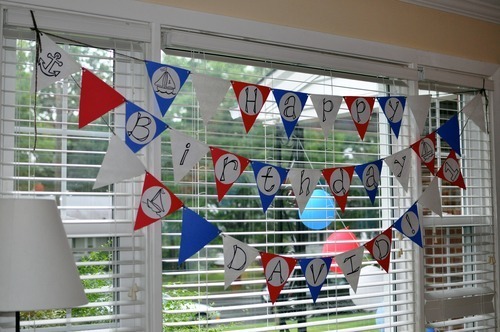 We’re keeping the bunting up for a while, and when we finally take it down I’m going to move it into David’s room. 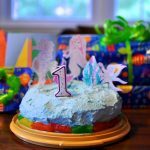 It happens to match the decor, but I’d probably hang it in there even if it didn’t because it reminds me of my thoughtful friend, and of our celebration of my little guy, who is a whole year old. 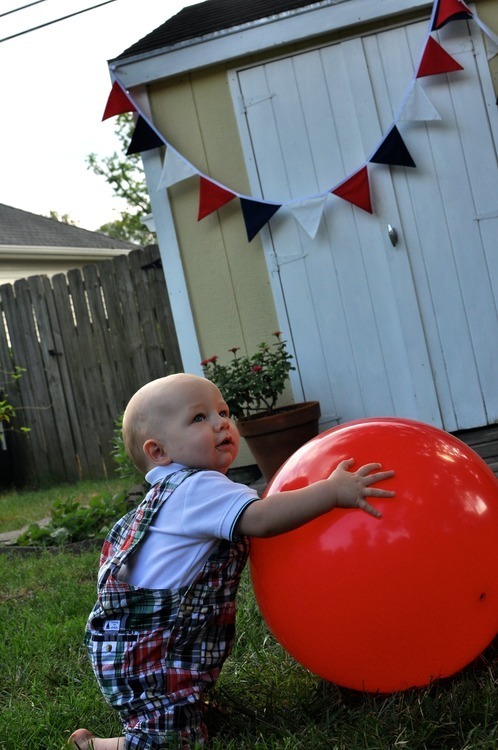 I scoured party blogs and A.C. Moore and Pinterest for months leading up to this party. 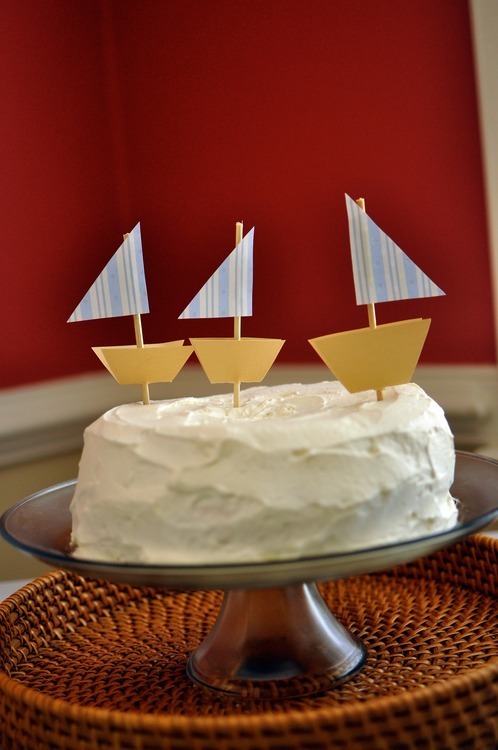 Pinterest is great for wasting time on the Internet, but it’s also great for planning a sailboat birthday party. Now that I look at everything, it doesn’t really look like that much. (Keep in mind that I also dusted! And vacuumed! And cleaned the bathroom!) But it’s more than I usually do, and I did a better job of actually being at the party rather than worrying about things. To pull it off, I recommend having as many grandparents around as possible. They’ll hold the baby, help serve cake, change the trash bag and clear dishes. Probably without even being asked. We also finished everything about a half an hour early; the food was out, the living room was clean, and I had already swiped on some mascara and run a brush through my hair. For future parties, I’m always going to schedule a half hour in to the plans so I’m not still chasing down my to-do list when people arrive. That half an hour gave me time to sit down, exhale, and look forward to our first guests. Also, in that half hour, I poured myself a big glass of wine. 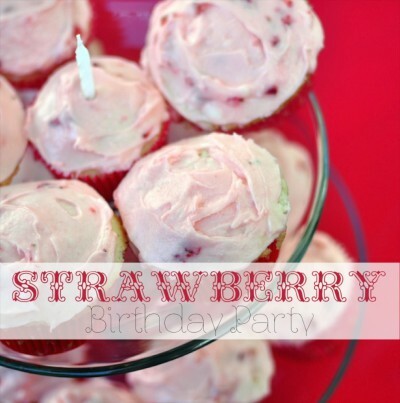 For some reason that little party tip isn’t on Pinterest…but it should be. LOVE IT! Mark struggles with the word "bunting" as well. I have no problem with it. What a succinct way to describe such a cute decoration! I love that you now measure time in units of "nap", as in "this took three nap times". sounds, and looks, like a great party! 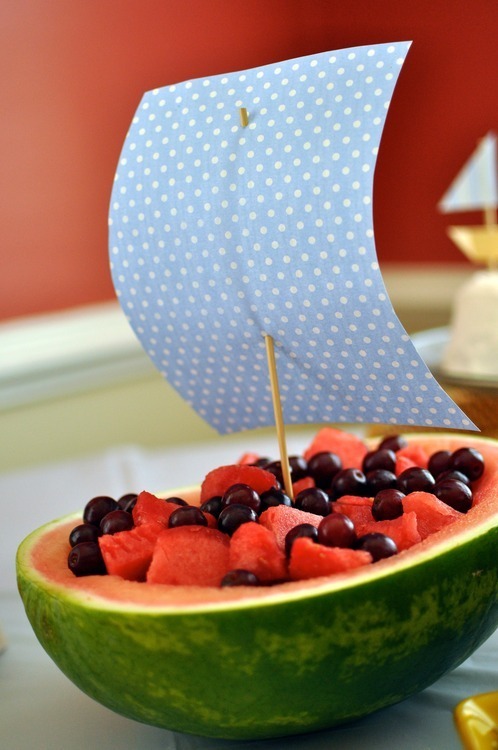 I don’t have little ones anymore but I would totally go for a sailboat theme for a little boy if I did! When my youngest, Josiah, was a baby I decorated in rocking horses AND teddy bears because I couldn’t decide! 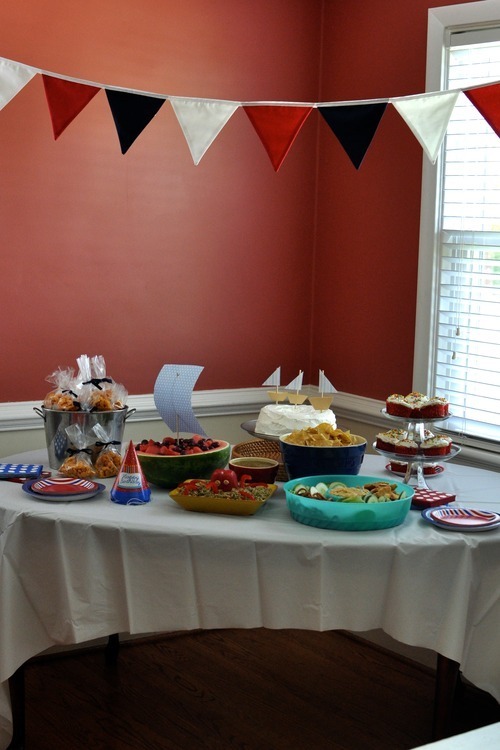 And if I had some red, white and blue bunting … that would have been added to the decor too! 🙂 Tom’s comment made me laugh! 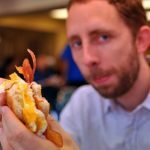 Where did the word *bunting* come from, anyway? 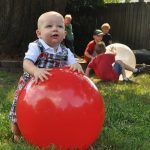 Thanks for linking up with The Pinspiration Project! I hope you’ll come back! Cute. I like the watermelon especially. I want to place an order from you to our store in the Netherlands .I want to know if you can ship here and accept credit card as a form of payment.